April 26, 8:30am - 10:00am CDT. Manali is a creative leader with over 15 years of industry experience. Her journey in art and design started as a young girl growing up in India. As an only child at home, in a family that was always on the move with limited access to technology and a humble collection of playthings, she spent her early years weaving stories and resourcefully crafting her own toys to create an alternate imaginary universe. It is this approach to creativity that has shaped her career as a design professional. She lists passionate, creative, tenacious and adaptable as her strengths. With dual degrees in fashion and industrial design, she seamlessly draws on cultural references and her problem solving skills to create product solutions that delight and inspire people. She has worked in multiple geographies and design led diverse categories - wearable technology, watches, jewelry, product & material innovation, craft design and fashion apparel. She has a strong track record in product launches and is frequently tapped as a change agent, having worked on global brands such as Fossil, Diesel, Karl Lagerfeld, DKNY & Marc Jacobs. In her current intrapreneurial role at Fossil she leads creative on the Incubator; most recently launching new independent watch brands Mon Amie & One Eleven. 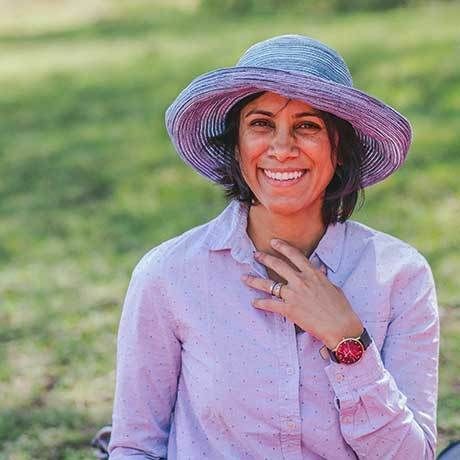 When she’s not dreaming up the next cool idea, she’s working on her strong yoga practice, traveling and photographing different cultures and landscapes or working on science experiments with her kids. Manali is a proud mother of two boys, two fur babies and is married to a fellow industrial designer. DevMountain is an industry-leading coding school that began in the heart of the Wasatch Mountains. Founded by fellow coders, DevMountain’s expert faculty are passionate about sharing their craft and empowering the next wave of programmers, entrepreneurs and designers. Creative Circle is a specialized staffing agency connecting creative, digital, and marketing talent with local clients. Charlotte is one of the newest offices and we are thrilled to be here! Each Creative Circler has a background in design, marketing or advertising and wholeheartedly believes in the importance of living creatively! Located on Ross Avenue in the Arts District micro market of Dallas’s Central Business District, our Dallas Arts District workspace will turn what you think of as “office space” on its head. Research shows that productivity increases if you move throughout the day. Our Arts District workspace incorporates a mix of lounges, kitchens, and common space surrounding bright offices that encourage people to get outside their office and use all of CENTRL’s workspaces. Amenities include our office concierge, meeting rooms on-demand, local coffee and beer, second-floor community balcony, food, and drink service, & a lobby event space. Hurst Digital is an Emmy® award-winning, turnkey video production company, helping organization tell their story to customers and employees through strategy and visual content creation. We create digital content for the following: Corporate, Training, Innovation, Medical, Marketing, New Product, Broadcast, and more. We’re a custom printed t-shirt & apparel company, specializing in high-quality waterbase, discharge and plastisol printing for brands, clothing companies, businesses and more!